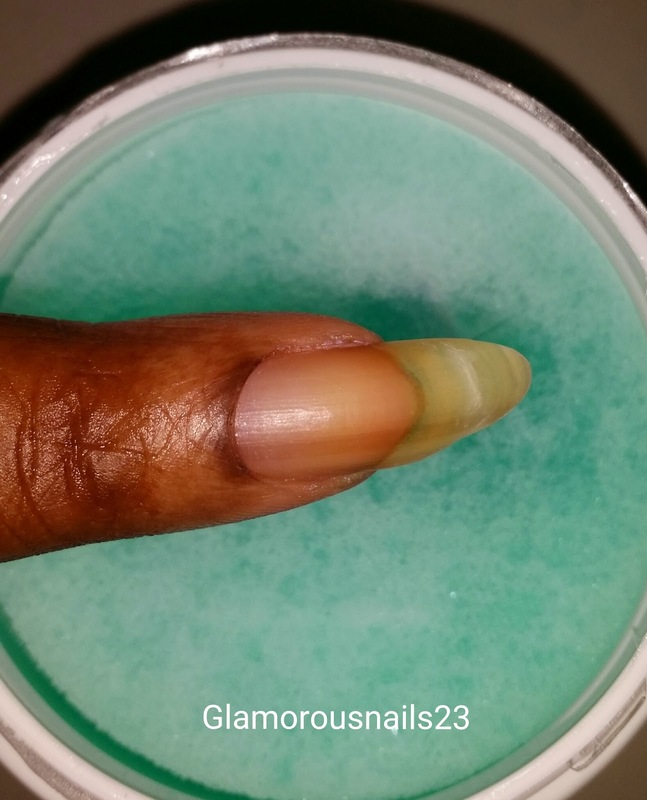 I recently purchased this Sally Hansen Kwik Off Nail Polish Remover along with some polishes which can be found here. I've seen different products similar all over and decided to give it try. It was about $4.00CAD at Wal-Mart which isn't bad at all. 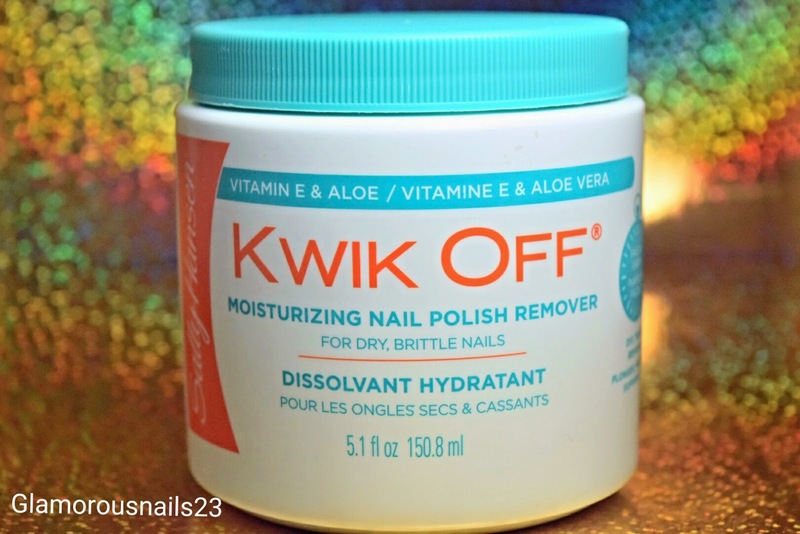 Sally Hansen Kwik Off is meant to be used as a nail polish remover (obviously!) 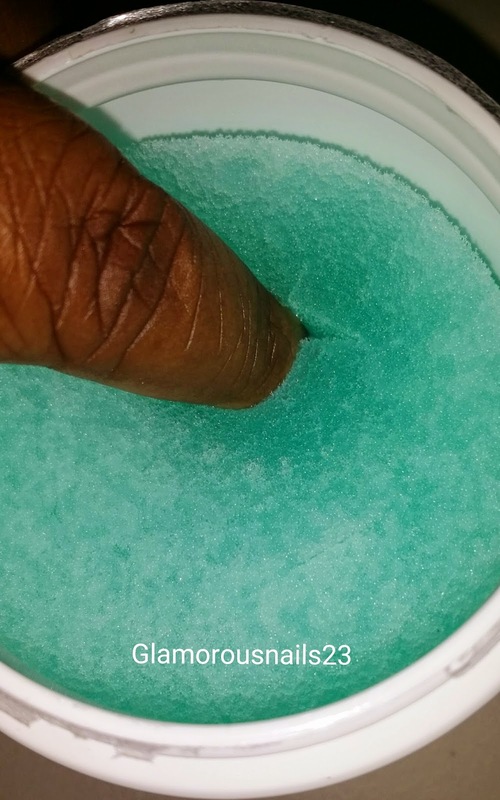 just without using the cotton pads to remove the polish. At first I was like what pre-cut spaces but then I was able to find them. Once I was able to locate one of the spaces I put my finger in and waited about 30 seconds before I started to twist and move my finger around to get the polish off. Here's what my finger looked like after about 30-45 seconds of twisting it around in the foam. It completely removed all of my polish! Not only didn't remove the polish my finger wasn't EXTREMELY dry like I was expecting it to be. I was pretty shocked after taking my finger out. I will definitely be returning to this product for future removal of polish. I may even have to try and stock up on some more. All in all I'm extremely pleased with the Sally Hansen Kwik Off Nail Polish Remover. Have any of of you ever used any products like this? How did it work for you? I used to use that sponge-y thing, I remember! 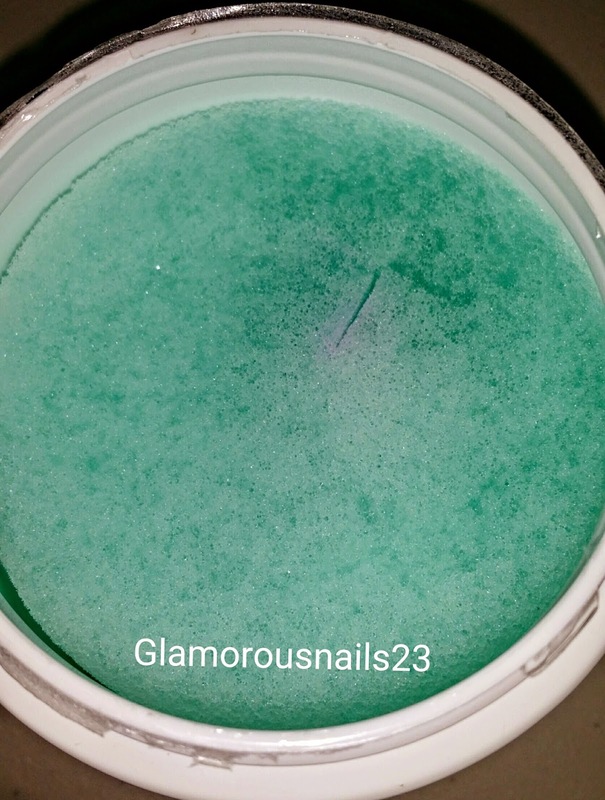 ; ) Now I usually use straight up acetone for when I'm doing nail art. Lol! You know what, I don't mind it.